Are you searching for the best CBSE boarding school in Delhi? You have come to the right place. 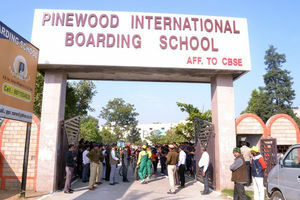 Pinewood International is one of the best residential school affiliated to CBSE. It combines the best quality of age old and well proven international school. Our school provides scholarship facility for praiseworthy students. Our school has separate hostels facilities for Boys & Girls with 24 x 7 hours of managed by trained and experienced faulty. We provide the best syllabus to the students and give electronic learning courses and TV programs for enhancing understanding and helps in studies.